The city of Gothenburg (Göteborg) is my kind of place. Urban creativity and convenience with nature nearby. Here are some fun things to do in Sweden’s 2nd biggest city. 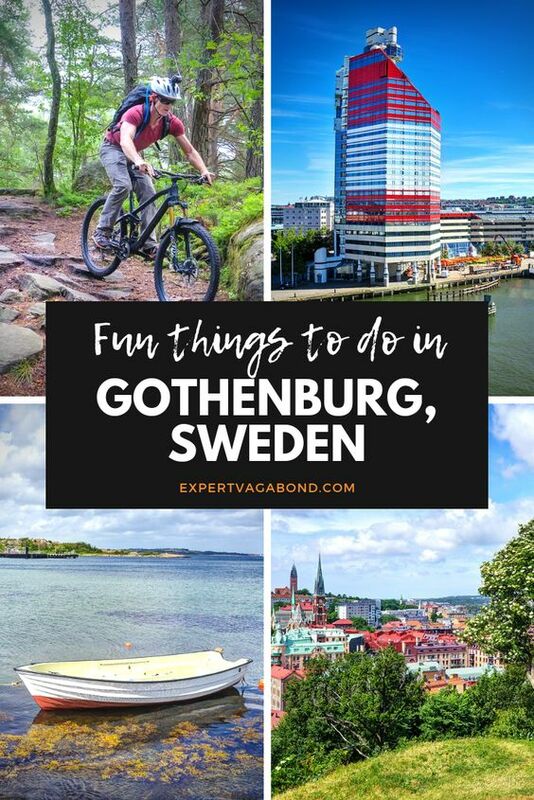 Before I traveled to Sweden, I’d never even heard of Gothenburg. However after spending a few days exploring this important port city I can see why it’s growing in popularity. Neoclassical architecture makes it pretty. Efficient public transportation makes it easy to get around. Surrounded by islands and forests, nature is only minutes away. The culture here breeds tasty food, cool art, excellent design, and — attractive people. Yeah I said it. Swedes are easy on the eyes! 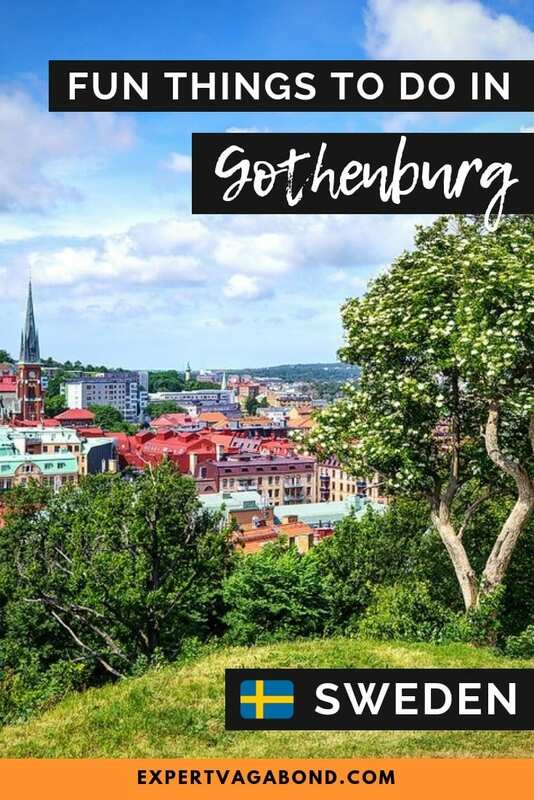 I was visiting Gothenburg with Katie, an Expert Vagabond reader (and fellow blogger) who won my travel giveaway last spring. 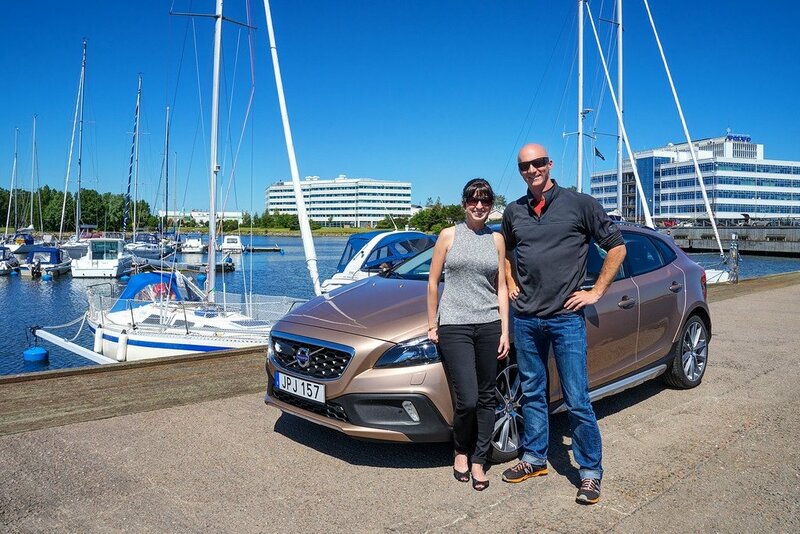 Volvo lent us a new car from their factory in Gothenburg for a road trip up the coast of West Sweden. This ancient 17th century stone fortress sits on top of a hill overlooking the city. 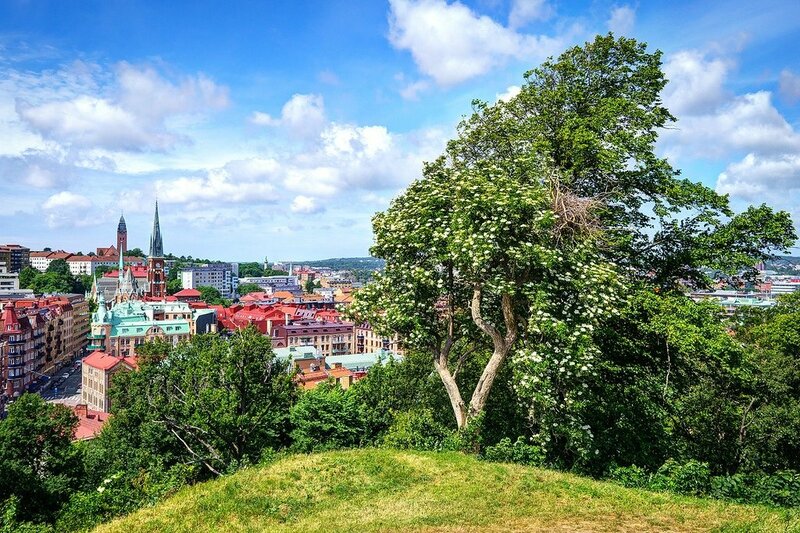 It has one of the best views of Gothenburg. Located near the trendy Haga neighborhood, the steep staircase will give you a bit of exercise. Looking over the colorful homes & old buildings from above is worth it though. When you’re done, head back down to one of the oldest neighborhoods in the city and grab a fika, or Swedish coffee break. You’ve earned it! 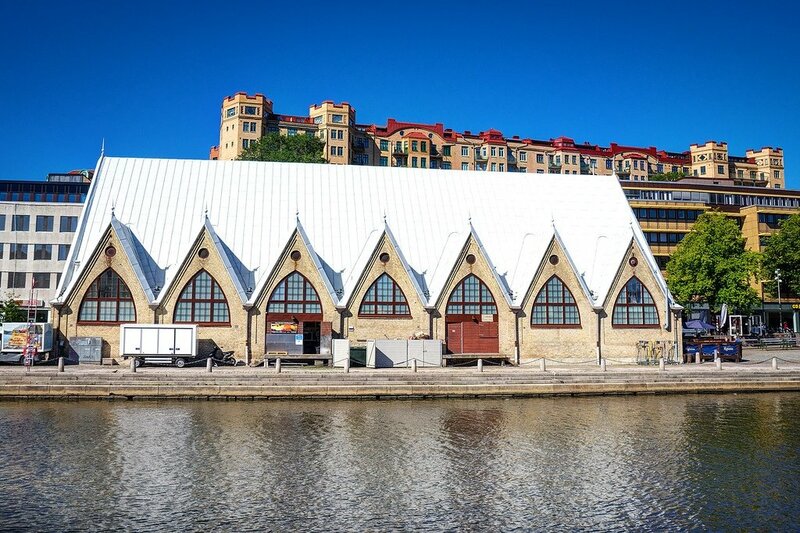 The Feskekôrka (Fish Church) is a large indoor fish market in the heart of the city. The market is housed in what looks like an old gothic church. 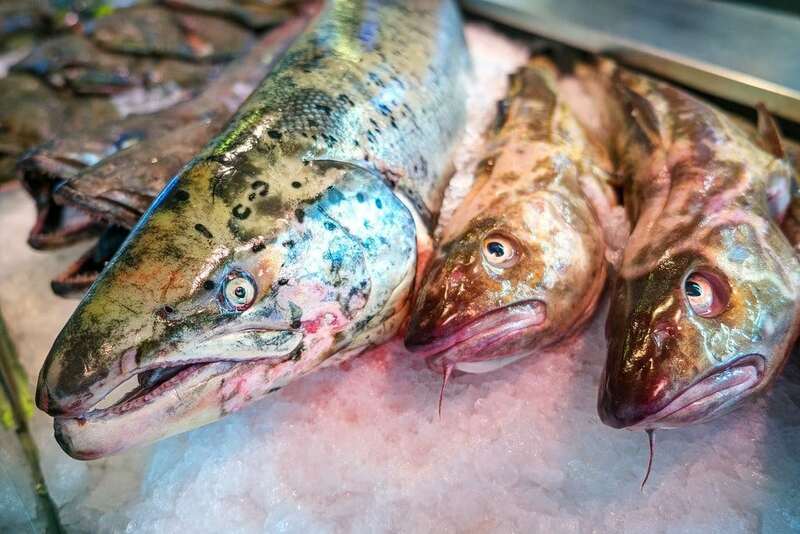 Swedes are known for their amazingly fresh seafood, and all the best stuff is on display here. Salmon. Brill. Cod. Lobsters. Crayfish. Squid. Caviar. Crabs. We ordered a few tubs of fresh fish salad and sat outside for lunch, enjoying the summer sunshine. There’s also a restaurant and cafe inside. Gothenburg has an awesome City Card for tourists that gives you free entrance for all kinds of activities, like the floating Martiman Museum. 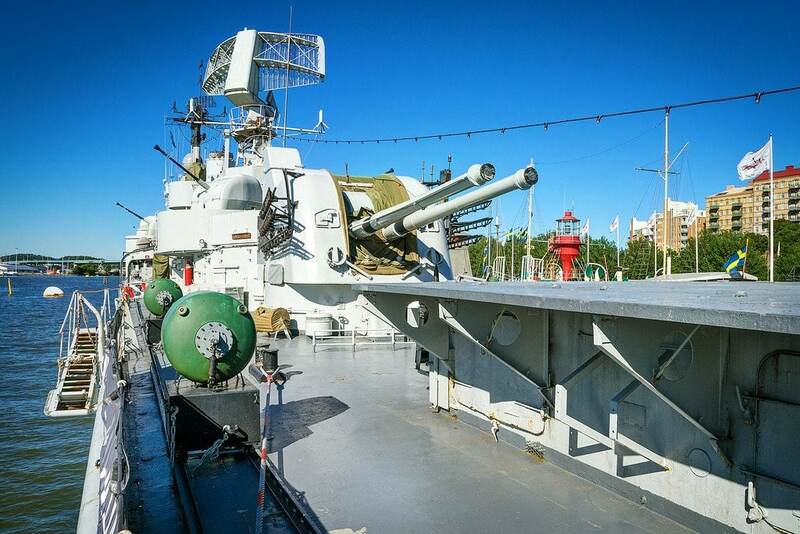 This maritime museum has an impressive fleet of 13 different types of ships you can explore. My favorites were the submarine and the destroyer. 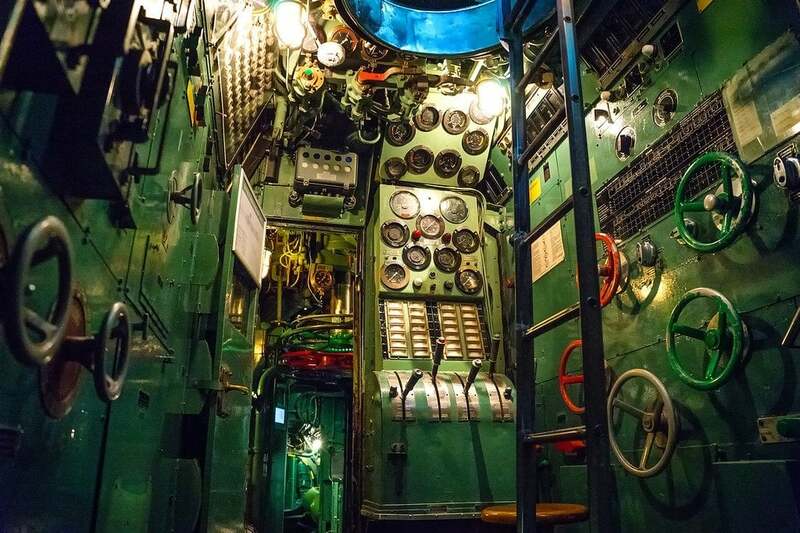 Crawling down a dark ladder into the submarine and playing with all the controls made me feel like a little kid. I wanted to re-enact The Hunt For Red October. The destroyer was cool too though, the largest warship in Scandinavia. It once supported a crew of 272 sailors. Next to the city is an archipelago of 20 islands that are very easy to visit for a day trip or overnight. The ferry system is fast & comfortable. We visited 2 of the islands, Vrångö and Styrsö Skäret. Neither of these islands allow cars. The only way to get around is to walk, travel by bicycle, or jump on a flakmopeder (a moped with flatbed in front). Vrångö has some cool nature trails and a cafe. We spent the night on Styrsö Skäret at Pensionat Styrsö, a beautiful island guesthouse that provides you with bikes. They cooked some tasty plates of crayfish too, and crayfish are MUCH bigger over here. I know what you’re thinking. Because I was thinking it too. How could an automobile factory be any fun? Well, it turns out watching a futuristic army of robots assemble a car from scratch is fascinating. Robots were even driving themselves around the factory, some stopping to let us pass! Volvo has this awesome program when you order a new car from them, they’ll fly you out to Sweden for a few days to take delivery in person and drive it around before shipping it to your home. How cool is that? 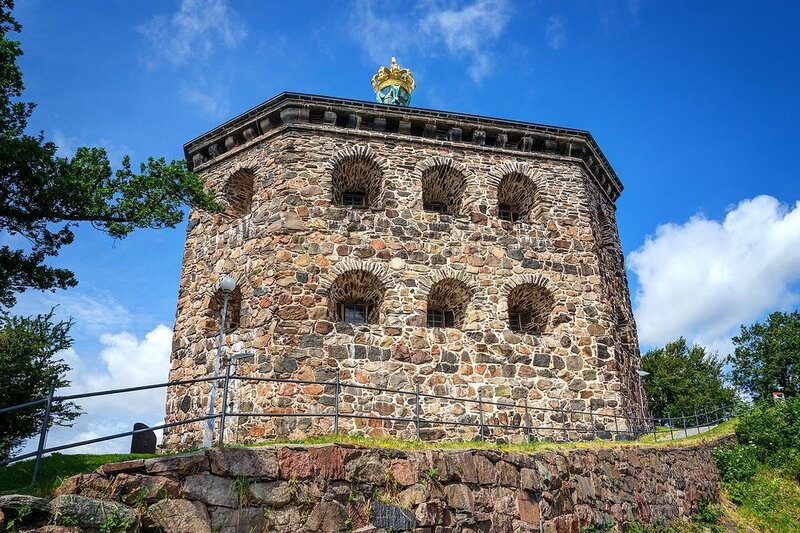 Gothenburg is unique in that it’s surrounded by large forests and lakes only minutes away from the city center. In a place where the population hovers around half a million, it’s very easy to get outside and enjoy nature. It’s a mountain biking playground. 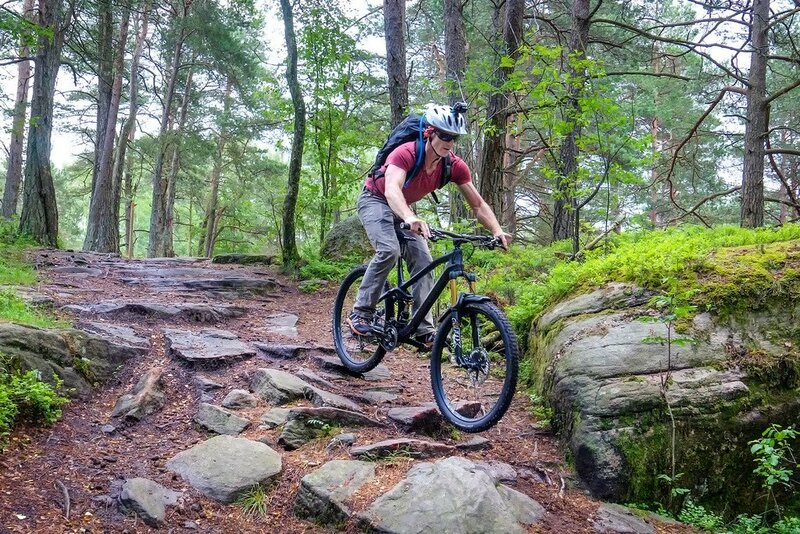 Hidden in the trees is a vast network of trails covering over 250 miles, everything from easy dirt roads to technical slickrock and root-gnarled singletrack. Leo & Natasja of Hillside Cycling took me out exploring this maze. 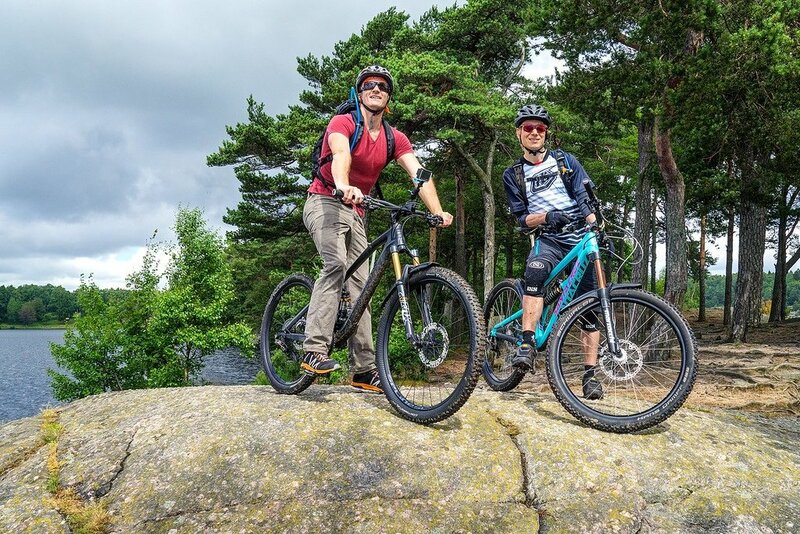 They rent high-end bikes and lead trips through the forests. I can’t remember the last time I visited an amusement park. After spending the afternoon at Liseberg, I realize it’s been way too long! Attracting over 3 million visitors a year, the park is huge with tons of rides. We rode rollercoasters, free-fall towers, and a log flume in the rain. 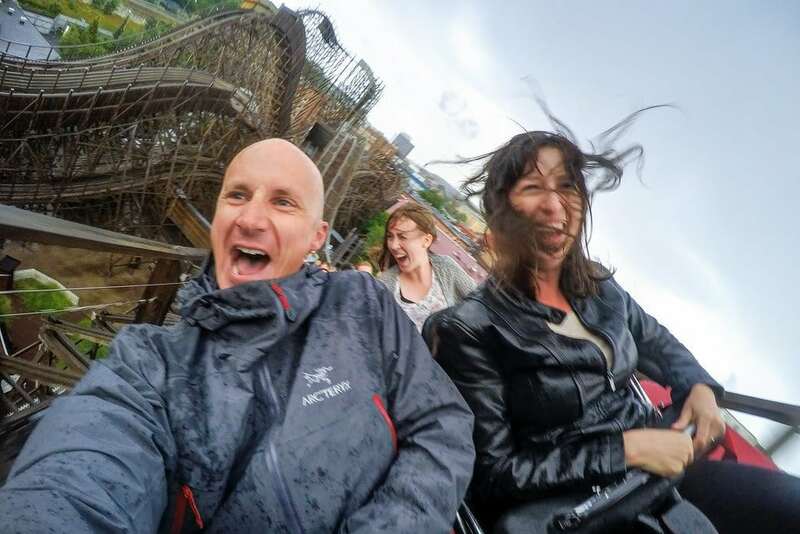 The most famous ride at Liseberg is called Balder, a giant wooden rollercoaster with the honor of Best Wooden Tracked Roller Coaster in the world. I wasn’t expecting much from a wooden rollercoaster, but I was pleasantly surprised, as you can see in the photo above. 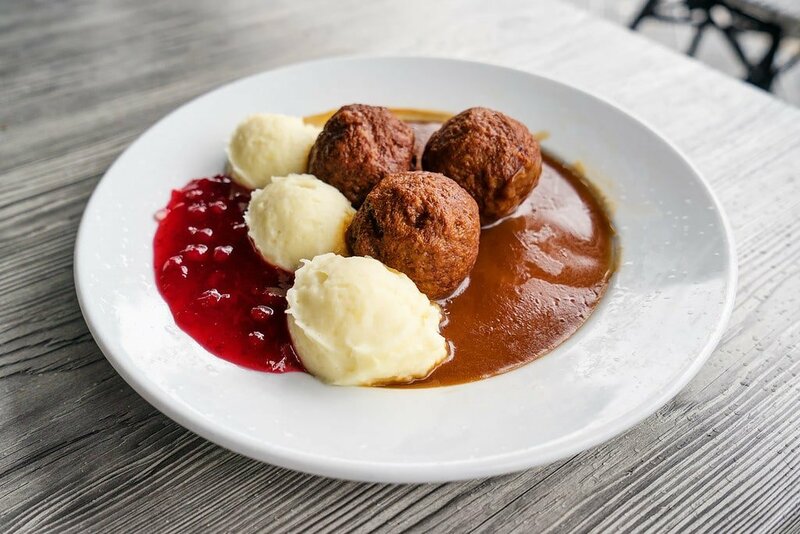 You can’t leave Sweden without trying their famous Swedish Meatballs. For something a bit more fancy, Barabicu Grill served delicious fish. In the past food trucks were banned in the city, but that’s changed and they’re becoming quite popular. Hamburgers are a big deal in Gothenburg. So is mayonnaise — I think everything is made with mayonnaise in Sweden. 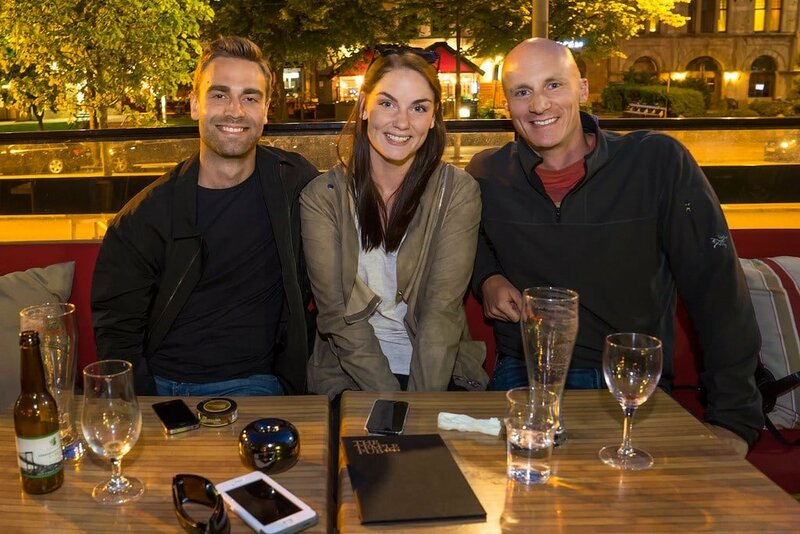 One night local travel blogger Evelina brought us to a good place for burgers called The Barn. The city also has a vibrant craft beer industry. I sampled a lot of beer, but my favorite was a double IPA from Beerbliotek. 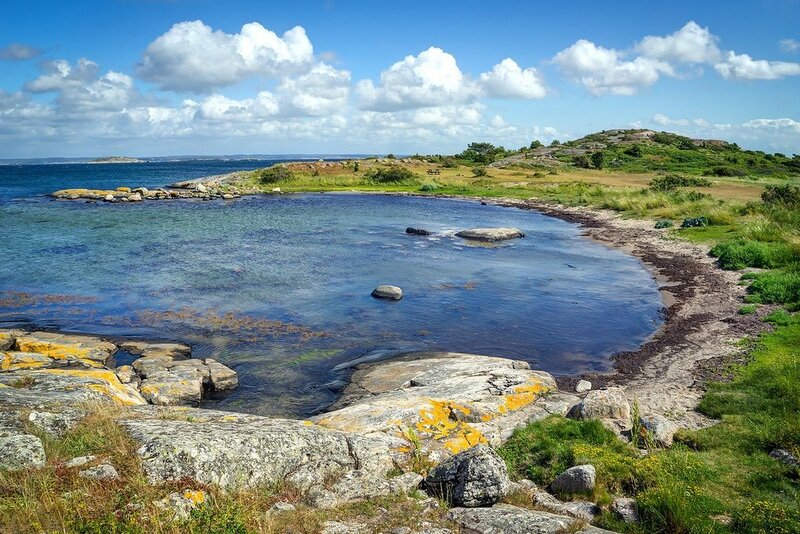 Katie and I spent 8 days road tripping around Western Sweden — Gothenburg was just the start. I’ll be sharing more posts from our Swedish adventures in a Volvo over the next few weeks. Hiking pink granite islands, kayaking the coastline, tipi tent camping, hanging out with a moose and more. 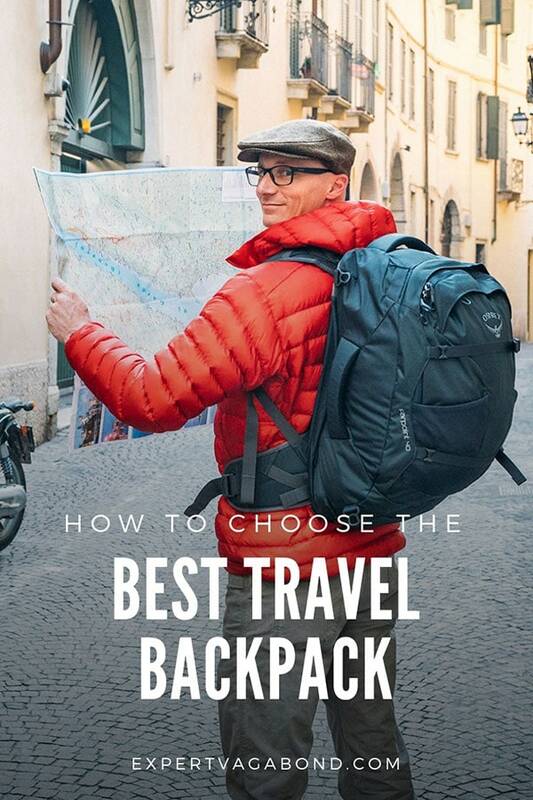 Do you prefer visiting small towns or big cities? 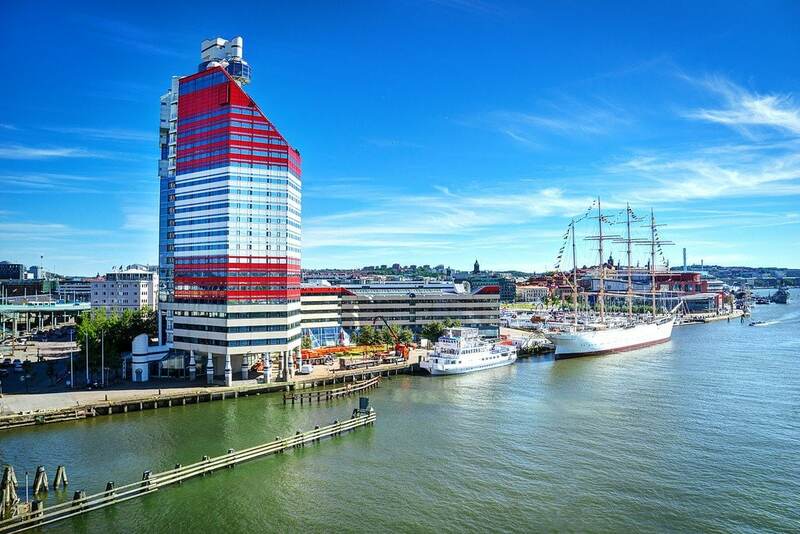 Have you been to Gothenburg? Of all the cities i have lived in Gothenburg is my favourite. Absolutely love Haga. Ah, the Fish Church! I lived in Gothenburg for six months and would go almost every Saturday for fried herring and lingonberry, it was sublime. Also, the guy who owns one of the restaurants was is a world champion oyster shucker! I’m actually going to Gothenburg in September so your post comes at the perfect time! Can’t wait to explore it. I’ve only been to Stockholm and Blekinge so far. WHAT MOUNTAINS DO YOU RECOMMEND US TO CLIMB IN Göteborg, SVERIGE???? This is a good list though! Thank you for sharing! Hey! I visited Gothenburg as well. Thanks for putting this list together! I hope you can expand upon it at some point? Gothenburg, really a nice place to visit, to stay. stay there was the best overseas experience. Miss u Gothenburg. As a former resident of said city, I just wanna say good coverage. One minor detail, though. The word “flakmopeder” is the plural version. When it’s one, its called “flakmoped”. Flakmopeder is plural. Flakmoped is singular. I’m glad you liked Gothenburg. 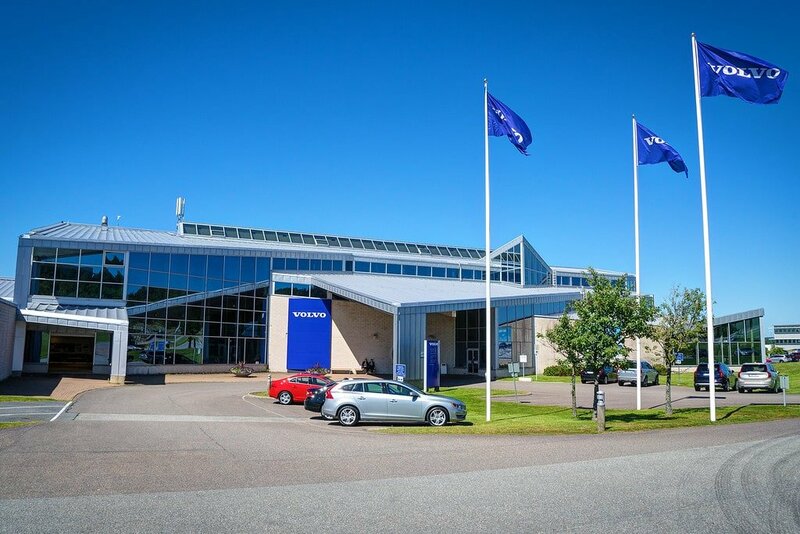 You asked if visiting Volvo factory was fun? For me yes and I’m jealous of you for it. V40 is pricey but fuel efficient, its hot. And by the way, great photos man! Gothenburg is absolutely fantastic and so is Stockholm. 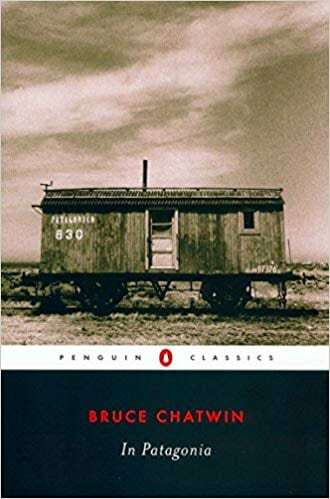 Wrote about it with a great pleasure on my blog. 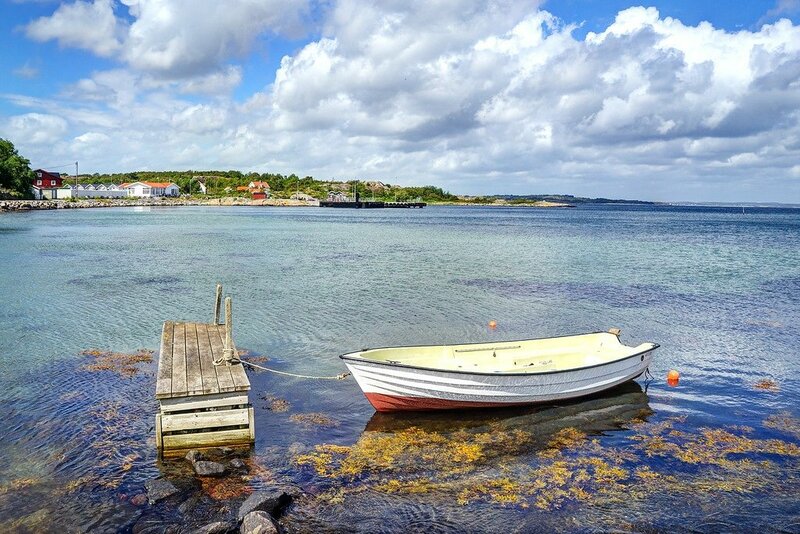 From enjoying a relaxing Swedish massage at one of the country’s many spas, to hiking the glorious country of glaciers, meadows, mountains and coastline to dining on fresh seafood in one of the gastronomic centers, visitors to Sweden will find many fun things to do in this very northerly land. Sweden has always been known for its spas, which have a rich tradition of blending spa treatments with scenes of nature and communing with the natural environment. Beautiful photos. Always wanted to visit Sweden. Thanks Carissa. We lucked out with great weather most of the time. Why not enjoy your fika FROM the flatbed of a flakmopeder driving around Vrångö? The best of everything!